Near the large-scale murals of SANBA (the street art project in San Basilio) there is this flea market selling all kinds of knick-knacks and antiques. I like it because here you can still find authentic objects and some great deals, unlike the flea markets in the city center, which are expensive and tourist-targeted, and whose objects on display look kind of fake. 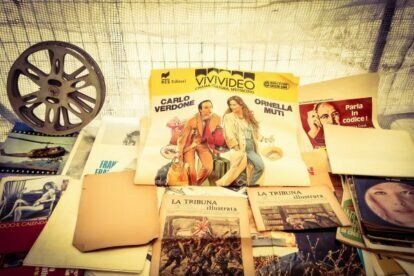 At the San Basilio’s antique market, instead, I’ve always found quirky trinkets and novelties and, most of all, a very genuine atmosphere. The market is not very big, there might be 20 stalls, but it is well worth a visit! My favourite stalls are those selling maps and globes (to feed my wanderlust! ), old toys (to relive my youth), postcards and pictures of a Rome from another time (as I’m very curious about how areas change throughout the decades), vintage clothing (to go along with my girlish side) and second hand books (because reading is dreaming with open eyes! ).